Since we are in the spirit of fall and in the halloween month, all I think off is pumpkin and the color orange. 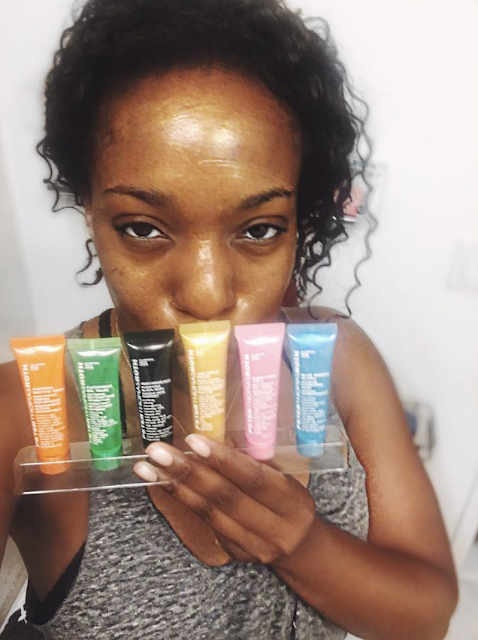 :) I decided to show you how to use this really cool product by Peter Thomas Roth - The Pumpkin Enzyme Mask also known as Pumpkin Enzyme Mask Enzymatic Dermal Resurfacer. The triple-action product exfoliates with pumpkin enzyme, peels with alpha hydroxy acid and polishes with aluminum oxide to eventually reveal smoother, youthful, radiant and revitalized skin. I bought the sample pack of all the Peter Thomas Roth face masks about 7 months ago and this one really stood out to me. I have used it about 3 or 4 times since I bought it and it is in the finishing ends. The scent is very inviting if you like pumpkin and the tingle lets you know it's working. I remember the first time I used it, I felt a tingly sensation and thought my skin was burning. I rinsed it off immediately. I thought my skin was too sensitive to the product and didn't want to risk getting burned. It was after doing some research on it I realized everyone had the same reaction and felt the tingle. It stings while you rub the mask on your skin, but the tingly feeling goes away after a few minutes. The more you use the mask, the normal the tingle starts to feel. Step 1. Apply a thin layer to clean skin. Step 2. Gently massage in a circular motion with wet fingertips to polish with micro-polishing aluminum oxide powder. Step 3. Leave on for 10 minutes depending on skin sensitivity and let the AHAs and enzymes work. Step 4. Rinse thoroughly with cool water. - It treats multiple skincare concerns such as dullness, finelines and acne. - It has vitamin A which helps to fight free-radical damage caused by the sun. So it is great in the fall. - The enzymes instantly brighten dullness and helps with congested pores. - A more youthful-looking glow radiates from within and makes your face look simply smooth and fresh. This product is excellent for all skin types. It is sulfate and paraben-free and full of all the good stuff that delivers good results. I really love how this mask leaves my skin feeling clean and polished! It gets rid of the dead skin and it revitalizes my skin. Overall, I love this mask and highly recommend it! 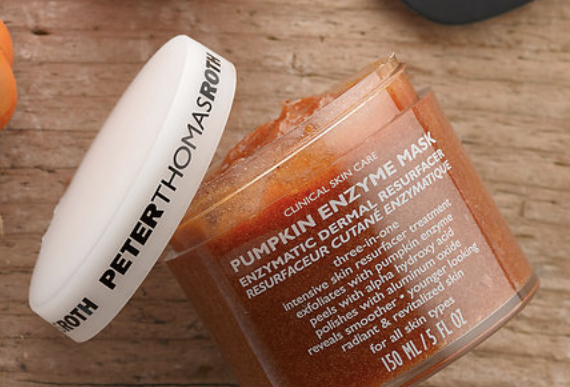 Have you tried this Peter Thomas Roth's Pumpkin Enzyme Mask? Any thoughts, let me know in the comment box below.